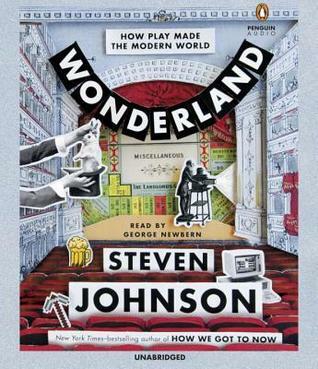 Like many other of his books, Johnson takes what we think are sometimes disposable threads of history and crafts them to help us consider how ephemera can help us understand who we are as humans. Thus, he uses things such as coloring in clothes to illustrate how trading pattern changed and gave way to empires as well as how taverns produced the third spaces that gave way to political revolutions and the idea of public space. Each artifact he looks at (spices, music, games, etc) unpacks powerful ways such things have significantly changed the modern world. His point isn't necessarily to pay homage to the spice rack or worship the almighty chessboard but rather to help us understand that the flights of fancy imbued with such things as games or music are part of what makes us human and drive us; that is, our non-essential human elements can direct us in powerful ways that produce important (and yes, problematic) results. Sign into Goodreads to see if any of your friends have read Wonderland.